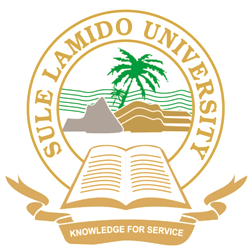 Sule Lamido University (SLU), Kafin Hausa, School of Preliminary Studies, Arts and Science Remedial Programme Admission Form, Requirements, Application Guidelines, Screening Dates, Time and Venue, Deadline for 2018/2019 Academic Session. Applications are invited from suitably qualified candidates for admission into the Sule Lamido University (SLU), Kafin Hausa, School of Preliminary Studies, Remedial Programme for the 2018/2019 academic session. Prospective and interested applicants are to log on to https://slu.edu.ng/application-form-rems/ to begin online application. Any candidate who fails to appear for the Screening Exercise on the dates above will not be considered for admission into the Programme for the 2018/2019Academic Session. Midnight of Sunday, 23rd September, 2018.